They are willing to endure any hardship that comes to serve this nation. Then come back feeling like a stranger among family and friends. They fight for our country. Then they don't think they are not worthy of anyone fighting for them, especially when they cannot fight for themselves. They risk their lives, willing to die for those they serve with. Then believe they do not want to bother any of them with their problems. They finally understand they need help but then fail to believe they deserve it. All too often, afraid if they get in line, they'll push back someone they think deserves it more. When they come home, and folks believe they are finally safe, that is when the words no mother wants to hear rips her apart. Valerie Pallotta, whose son Josh died by suicide in 2014, now runs a fund in her son's name to raise money for a treatment center. Josh Pallotta, 25, was one of those Vermont veterans who took his own life. He died in 2014. 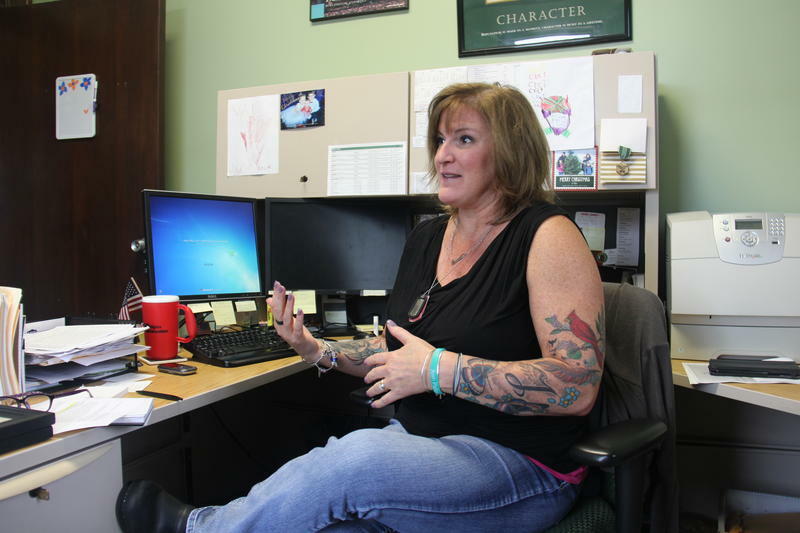 His mother Valerie Pallotta of Colchester is trying to create a space where veterans can socialize and also get treatment. We can talk all we want about raising awareness but no one wants to talk about the only question that isn't getting answered. What good does it do? All this awareness hasn't changed the outcome. Then next question is, why are we tolerating any of it? Why are we not standing up to our elected officials and demanding accountability from them? Why are we so willing to settle for Moms, Dads, Wives and Husbands hearing the words they thought they no longer had to fear?